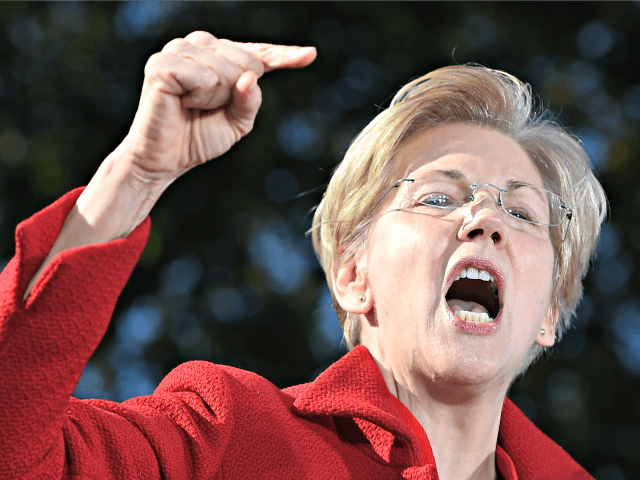 Sen. Elizabeth Warren (D-MA) said on Thursday following President Donald Trump’s tweet announcing that Scott Pruitt was stepping down as administrator of the Environmental Protection Agency (EPA) that anyone who doesn’t believe in climate change should not head the agency. The Hill reported on Warren’s statement about Pruitt’s resignation in which she said he should have been fired “28 scandals ago,” even though he was not fired but tendered a letter of resignation to Trump. Warren claimed in the statement that Pruitt should never have been selected by Trump because he didn’t believe in manmade climate change. Then Warren went on to trash other members of Trump’s cabinet, calling them by name and saying they have “no business” heading federal agencies. “Donald Trump’s cabinet is full of people who have no business running their agencies,” Warren said. “Betsy DeVos at the Education Department. Steve Mnuchin at Treasury. Jeff Sessions at the Justice Department. Mick Mulvaney and his part-time work at [the Office of Management and Budget] and the [Consumer Financial Protection Bureau],” the Hill reported. In his resignation letter, Pruitt praised the president and thanked him for allowing him to be a part of an agenda that is aimed at reversing the dangerous and damaging regulations put into place by climate change activists in the Barack Obama administration. “Your courage, steadfastness and resolute commitment to get results for the American people, both with regard to improved environmental outcomes as well as historical regulatory reform, is, in fact, occurring at an unprecedented pace and I thank you for the opportunity to serve you and the American people in helping achieve those ends,” Pruitt wrote.